Joe is the founder and president of Fareed Wealth Management. He applies his engineering and business backgrounds in creating the firm's disciplined approach to comprehensive financial planning and investment management. He generally works with corporate executives and applies his integrity and ability to analyze complex financial situations and to develop and communicate recommended strategies. He has been working with staff and consultants for the past several years to develop advanced processes for financial planning and portfolio construction. He is a CERTIFIED FINANCIAL PLANNER™ and has a B.S. Industrial Engineering from The University of Tennessee and an MBA in Finance from The University of Texas, Dallas. Prior to becoming a fee based financial planner in 2000, Joe worked for over 13 years at Bridgestone / Firestone and Texas Instruments in the areas of investment analysis, strategic planning, and manufacturing engineering. Joe enjoys a variety of outdoor activities and is an active member of the local Financial Planning Association. 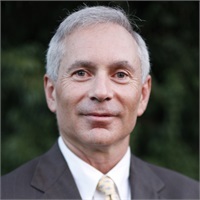 He is a former vice president of the board of directors of the Belmont Mansion Foundation, a former board member and past president of Friends of Radnor Lake, and a former Board of Governors member of the University of Tennessee National Alumni Association. He also had been active in Big Brothers/Big Sisters of Middle Tennessee for over 5 years.